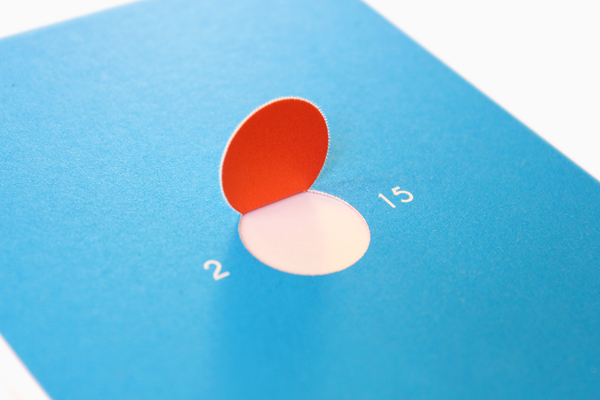 2015 New Year’s greeting card of own company. “0” of the year “2015”, which is cutout, is liken to the first sunrise of the year (It is a symbol of New Year’s Day and specially celebrated in Japan.). 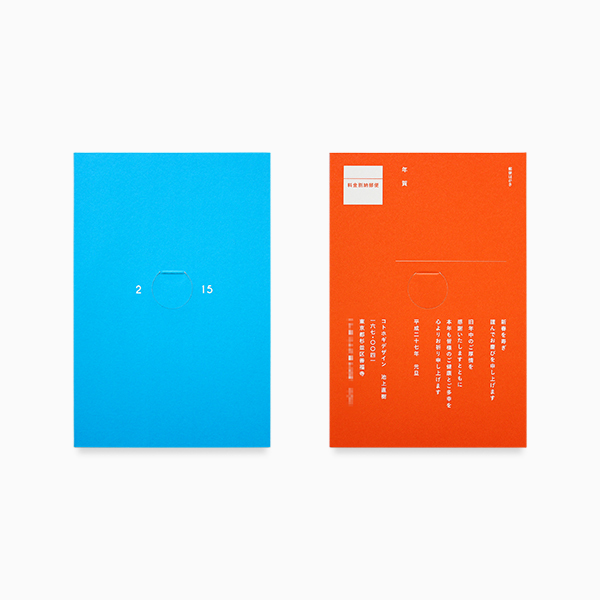 It creates fun by making people who receive the card fold “0” and cause them to see “the first sunrise”.